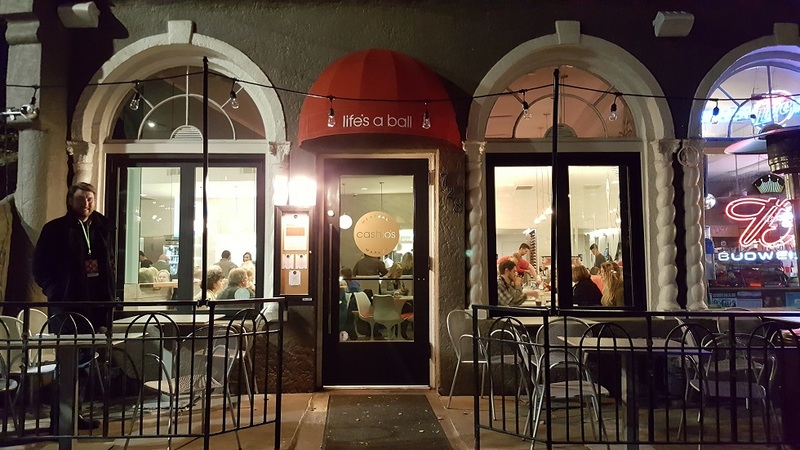 We had a BALL Dining at Cashio's Meatball Market in Birmingham! 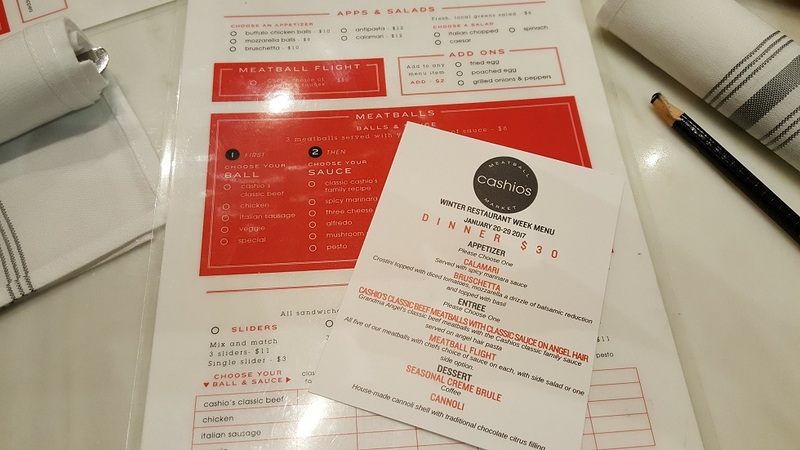 We Had a BALL Dining at Cashio's Meatball Market in Lakeview! Our last stop on our epic #WRW2017 tour was at Cashio's Meatball Market in Lakeview! 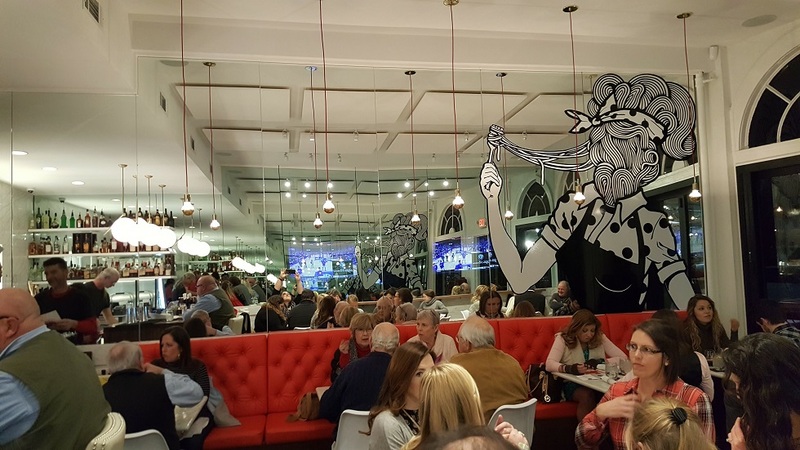 With our hectic schedule we hadn't had the pleasure of trying this place out, so we immediately jumped on the chance to eat here during Birmingham Restaurant Week since we have heard such great things about their food. We brought along two close friends who live in Calera. It was a great chance to show them some of the great things Happenin' in the 'Ham. The restaurant is small and seats about 35 people inside with a few patio tables outside, so try to call ahead if possible. The owner, Mary Susan Cashio, is welcoming and can be seen helping out with drinks and making sure everyone is having a great experience. (Fun Fact: Russell used to live a few doors down from her parents. Small world!) We were very impressed by the decor and the beautiful white marble table tops. Even the bathrooms are decked out! 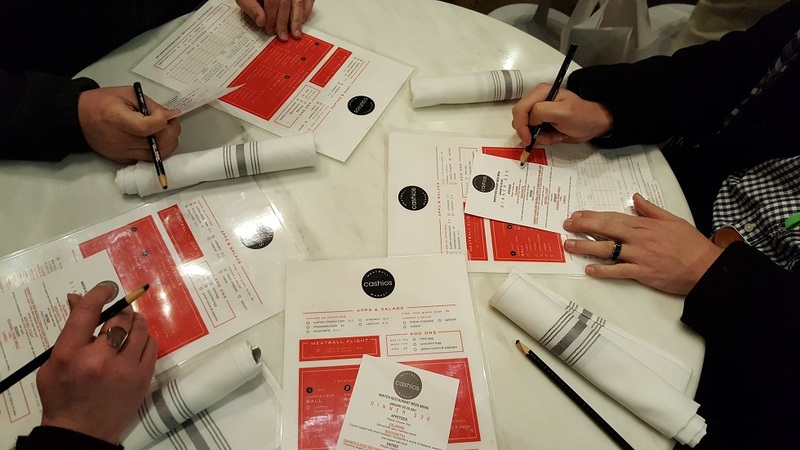 The menus are laminated and you get to use wax pencils to mark your order which is a lot of fun! Since we brought friends we got to sample a good bit of what they have to offer. We started out with appetizers and boy were we impressed! First off, the portion sizes are definitely big enough to share! 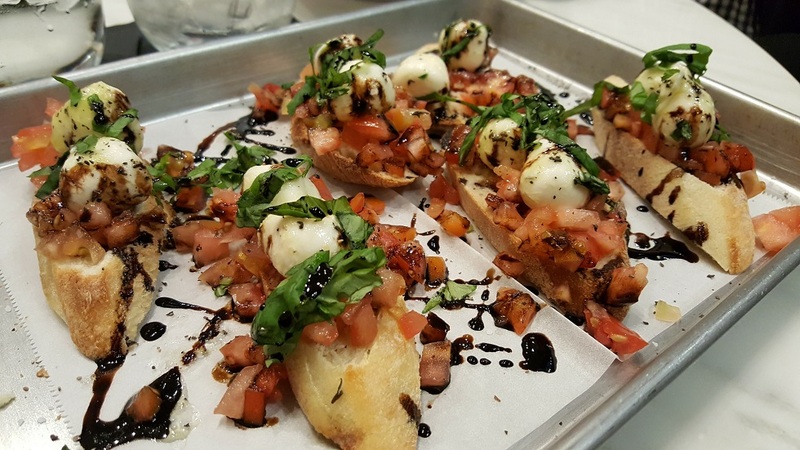 The Bruschetta came with six pieces of crispy bread topped with fresh cut tomatoes, fresh herbs, and TWO balls of mozzarella cheese! 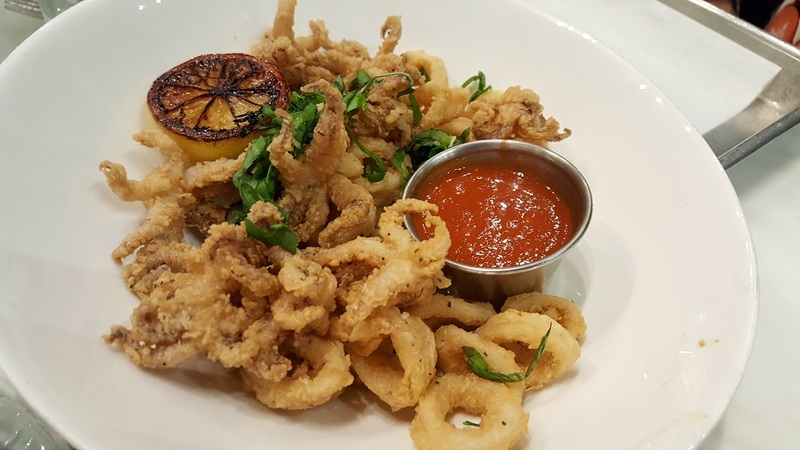 The Calamari was, hands down, the BEST we have ever had! It had the perfect crunch and was very tender. 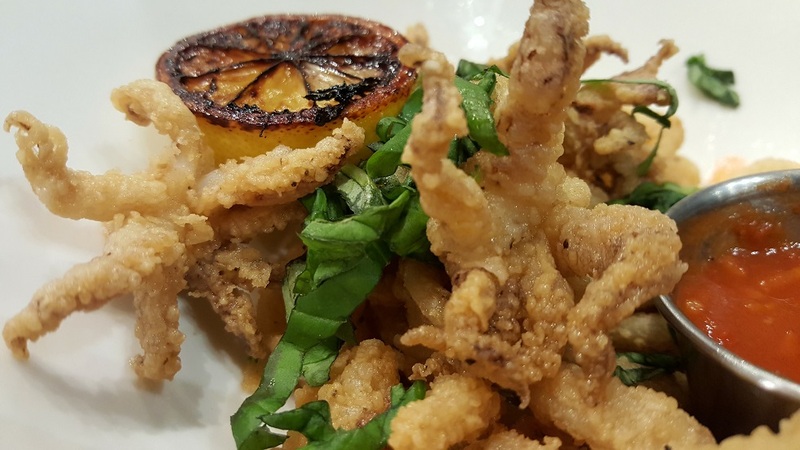 Calamari is often overcooked and chewy. This was definitely not the case. It came with a side of fresh marinara for dipping. We couldn't get over how great this dish was! 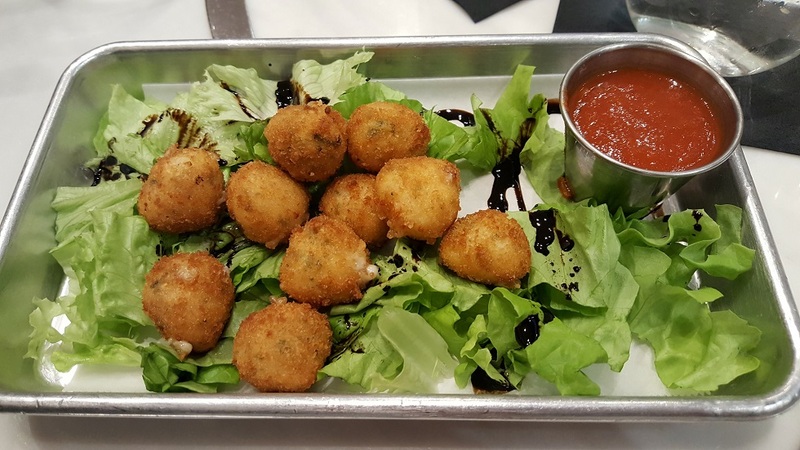 The third appetizer we tried was the Mozzarella Balls, but unlike the ones on the Bruschetta these were battered and fried with a warm melty center! We had fun breaking one apart and stretching the cheese. For the main course we ended up trying three items between the group. (Two of us ordered the same thing.) 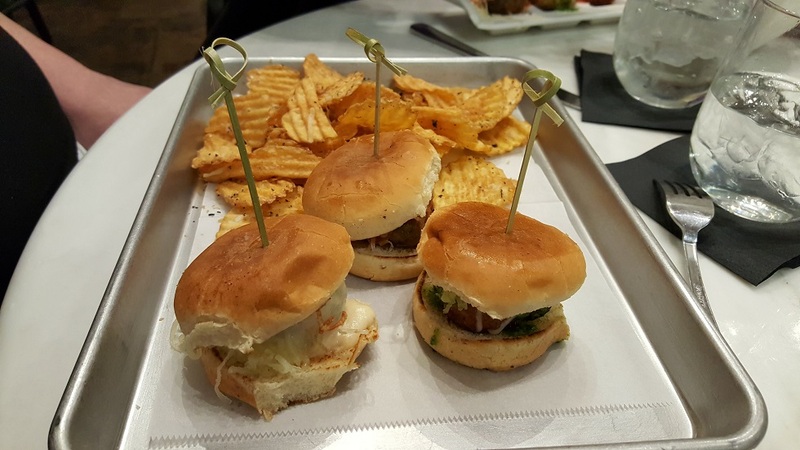 Our friend got the Meatball Sliders which came served on mini buns with your choice of meatballs accompanied by some seasoned chips that tasted fresh from the oven! We then tried the Angel Hair Pasta bowl which, according to Mary Susan, is the most ordered dish on the menu. 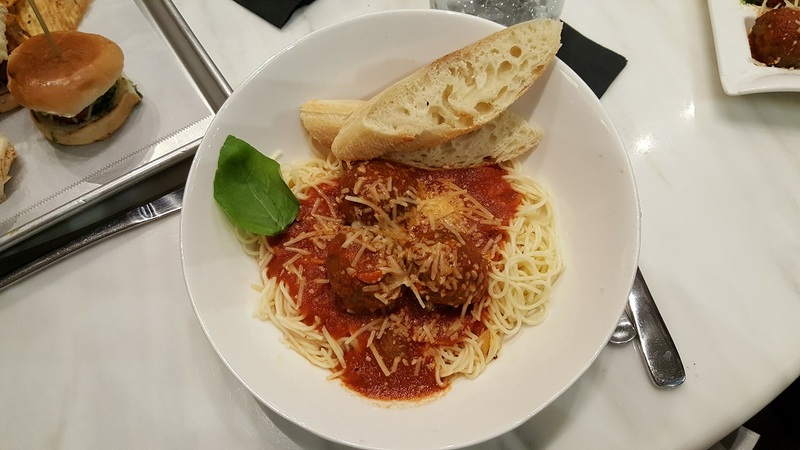 The cool part about this dish is that it comes with three meatballs of your choice and you get to select your sauce and pasta type. The pasta can be served under the meatballs or on the side. The Angel Hair was perfectly cooked and the marinara sauce was so fresh! We ended up taking some of this dish home with us. "BUT WHAT ABOUT THE MEATBALLS?!" Ah, yes, the meatballs! There's no doubt why Cashio's chose #LifesABall as their slogan. The last dish we tried was the Meatball Flight! 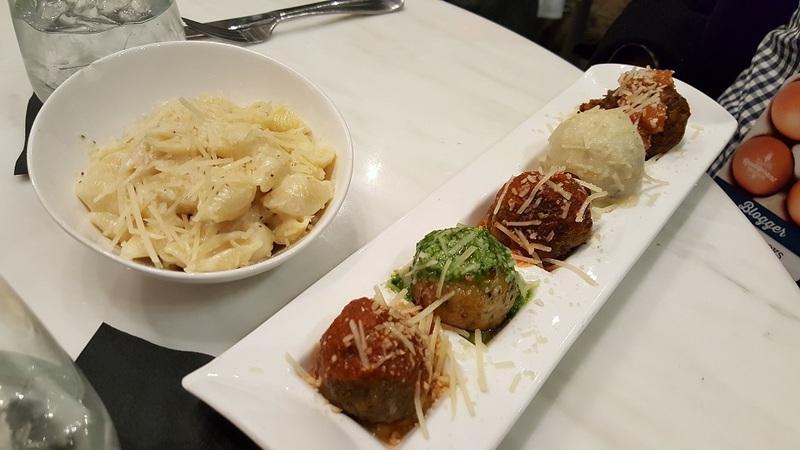 This dish comes with FIVE different meatballs to try and is served with a side of your choosing. We got Mac & Cheese as the side. Each pasta shell was covered with cheesy goodness. The Meatball Flight included Classic Beef, Veggie, Chicken, Italian Sausage, and a Special ball that happened to be a spicy Chorizo. All of the meatballs were so tasty that it is hard to pick a favorite. We will say that the Chorizo had a nice kick and the pesto sauce on the Chicken Meatball was one of the best! For dessert we tried three different items as well. 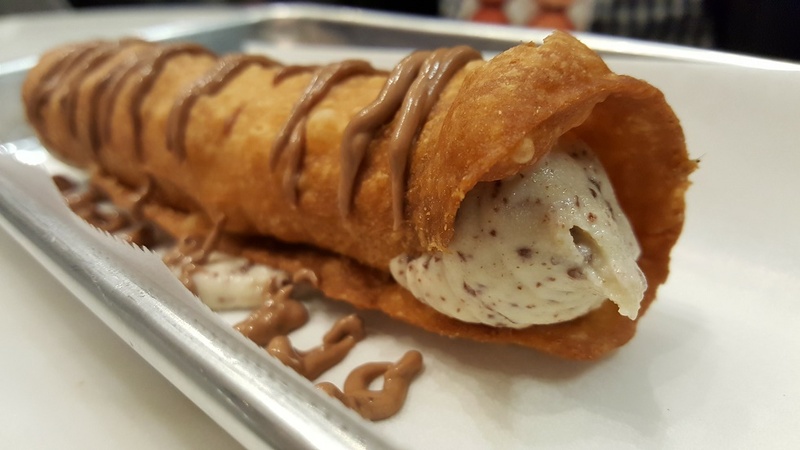 The Cannoli has a chilled creamy filling wrapped in a crunchy roll and drizzled with a sweet sauce. The filling had a surprisingly fresh citrus tasted (orange?) to it! The Seasonal Crème Brûlée was next. If you've been following our #WRW2017 adventure you know that we have had a least four versions of this dessert. 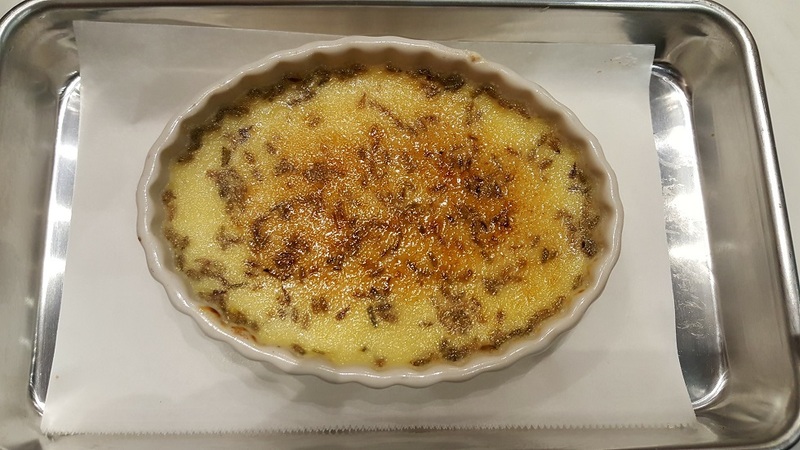 The Crème Brûlée at Cashio's is unique in that it has Rosemary, yes Rosemary, in the crunchy top layer! This gave a fresh spin to the dish and was an unexpectedly delicious flavor combination! 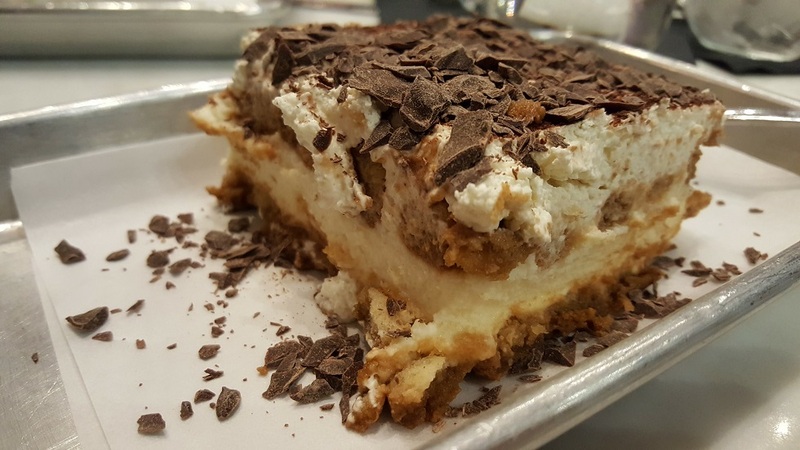 Our favorite dessert, though, was the Tiramisu! The portion size is large and it was moist as opposed to the dry tiramisu we have had at some places. All the ingredients tasted so fresh! We got lucky and snagged the very last piece they had for the night. It was a little piece of Italian heaven on a plate! 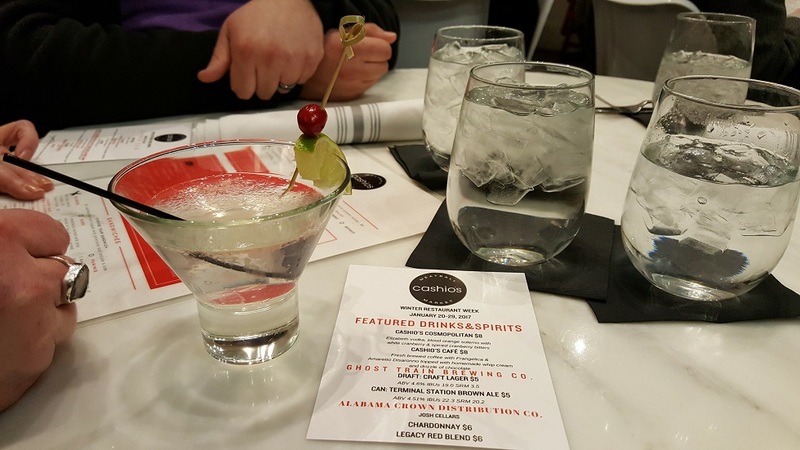 On top of all of the great food, Cashio's has a great cocktail selection! Our server, Brad, was fantastic and made sure we had the best possible dining experience! The food was filling and each dish was bursting with flavor. You should definitely try out Cashio's if you haven't already! They are a welcome addition to the Lakeview food scene. 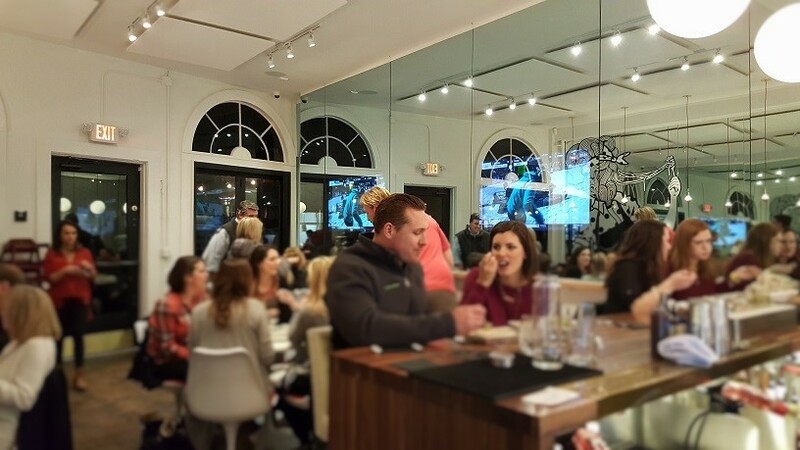 We are very grateful that we got to end Restaurant Week on such a high note!